Deep in the southern Appalachian Mountains, an isolated Pentecostal church practices the century-old tradition of worship using rattlesnakes to test one’s faith. Pastor Lemuel (Walton Goggins, Justified) leads the community, who all believe in risking their lives to attest themselves before God. All, except one. Augie (Thomas Mann) has always remained doubtful, leaving his devout parents (Jim Gaffigan and Academy Award® winner Olivia Colman, The Favourite) disappointed. 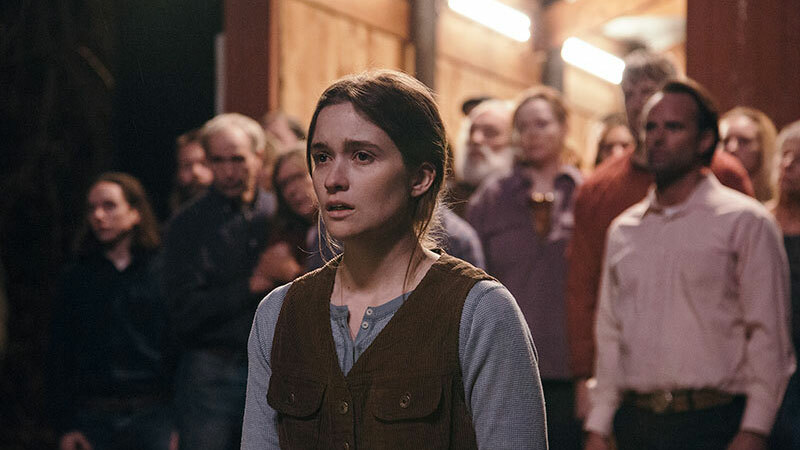 However, when Augie hears that Mara (Alice Englert), his childhood friend and the pastor’s daughter, will be marrying a zealot her father has picked for her, he decides to give the church another chance in order to still have the possibility at being with the woman he cares deeply for. While scrambling to hide a secret that has the potential to drive her father’s church to ruin, Mara faces a difficult decision—stay true to her heart or stay true to her family—and must face the aftermath of either choice. This star-studded and tense drama begs the question: which is more poisonous—the snakes or the religion?